Paint walls in neutral hues, opt for understated tone-on-tone tile treatments, and choose solid upholstery fabrics and bed linens. Setting a low-key stage allows you to bring in (and switch as the mood strikes) all the fabulously colored and prettily patterned flourishes you run across as you shop discount aisles, home stores, and tag sales. Sales on specific home decor items take place at specific times; knowing when things go on sale will allow you time to save up cash to buy expensive items for less. January brings discounts on bed and bath linens, furniture, and cookware; in March, china goes on sale; May’s a good time to shop for towels and small appliances; July hosts more furniture sales; and August supplies patio furniture deals (check these sales for bargain-priced outdoor pieces that you can use to enhance your interiors). Showcase family photos in oversize ready-made black or white frames equipped with matching-color mats. Save money and customize the display by creating cut-to-fit openings in mat boards or adhering an image to cardstock using photo-safe adhesive. Extra-wide margins intensify an image’s importance; using the same-color frames and framing treatment fuses even random images into a captivating exhibit. 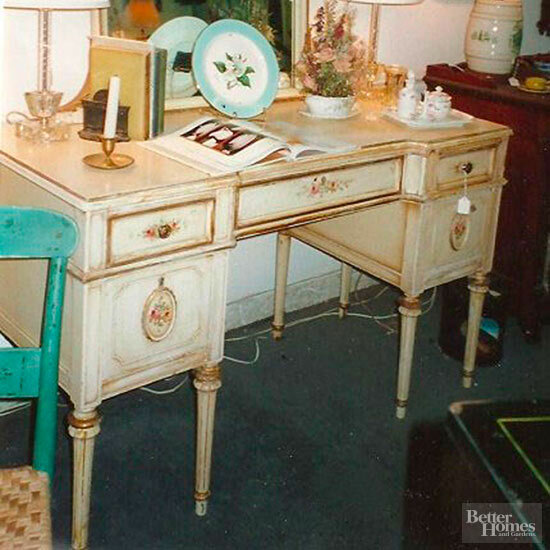 Bring curbside finds and flea market furnishings into your scheme on the cheap with coats of paint, hand-distressed patinas, stenciled patterns, decoupaged motifs, and/or new fabric. 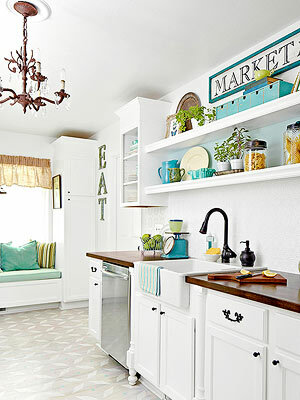 Give finer furniture a new outlook by replacing door knobs and drawer pulls with shinier or more colorful versions. Thrift stores and garage sales are ripe with budget-friendly finds, but often what you score secondhand needs a little TLC. 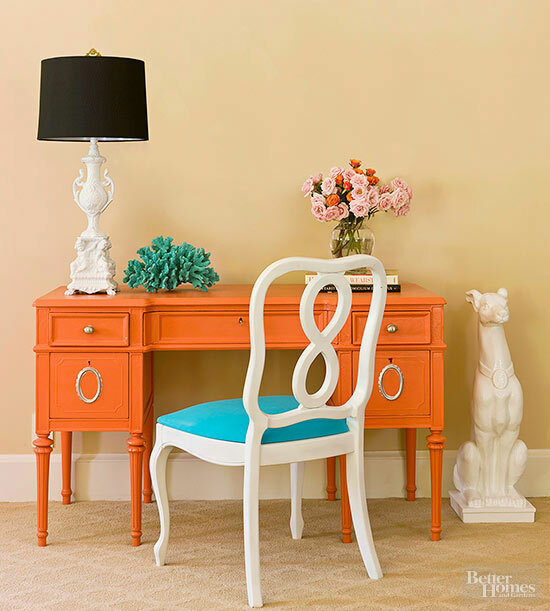 Take a look at how we transformed common thrift store finds into wow-worthy furnishings. 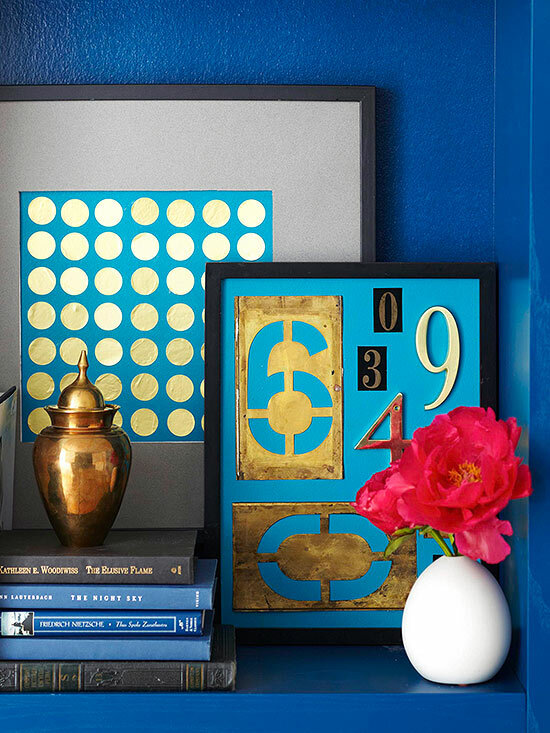 There’s an abundance of no-cost decor just outside your door. 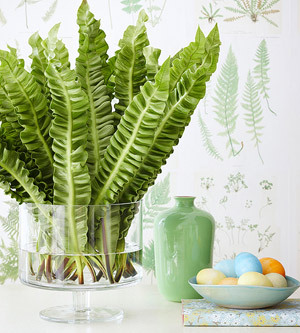 Spring and summer landscapes offer flowers, foliage, and vegetables for filling all kinds of vessels; autumn supplies kaleidoscopic leaves, seed-heads, and gourds for creating colorful centerpieces; wintertime provides twiggy dogwood branches and evergreen boughs that will beautifully carry your interiors into spring. Bring home striking seashells, sculptural driftwood, and cool-looking rocks to integrate into your year-round displays. Once limited to flower arrangements and random shell collections, bits of nature (and nature-inspired objects) now rule the roost. 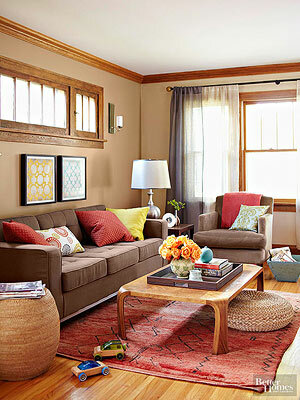 See how to get this trendy, organic look in your home. 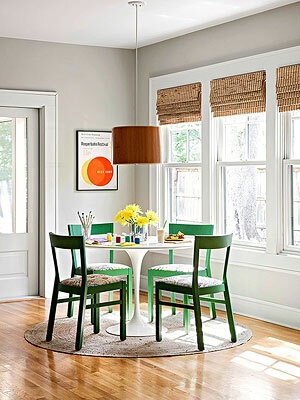 Gather inexpensive accents and assemble them in grand groupings. Even simple things, such as terra-cotta flowerpots, shapely wine bottles, tarnished silver trophies, and dime-store dishes impress when artfully clustered on mantels, shelves, and tabletops. 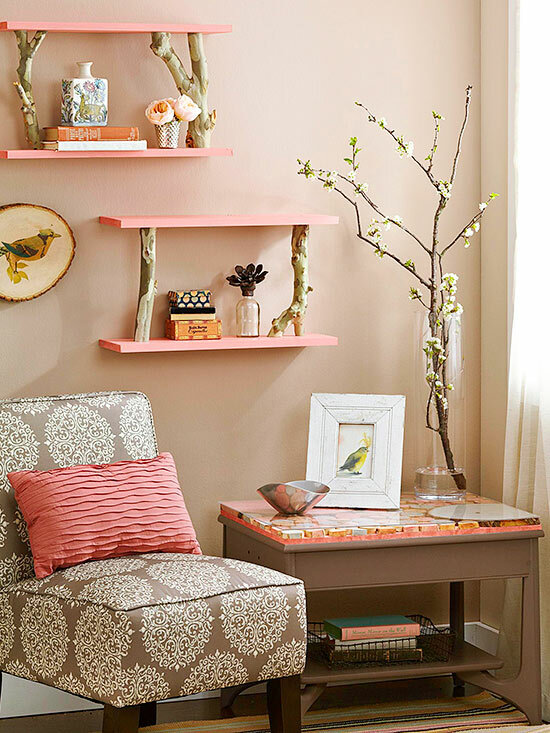 With a little imagination, you can quickly and inexpensively transform plain Jane spaces. 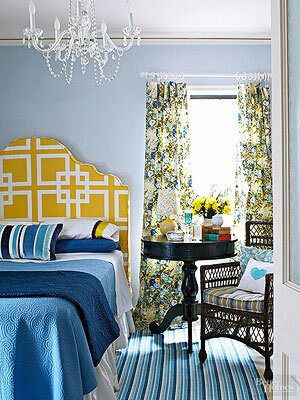 Add fringe, tassels, rickrack, or fabric bands to ready-made curtain panels; embroider monograms on shams; appliqué throw pillows; dangle crystal beads or pearly strands from chandeliers; stencil a meaningful statement on a wall; or glue pieces of sea glass to a mirror frame. Invest your time and energy — not money — to create a beautiful home. These project ideas and info will get you started. 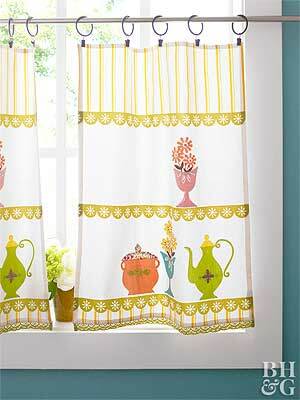 Decorator fabrics can be pricey, so look for alternative textiles when it’s time to dress windows and walls. Canvas drop cloths and vintage tablecloths easily turn into fun valances, pillow covers, and slipcovers; bed sheets provide the makings for duvet covers and shower curtains; retro tea towels become period-evocative artworks when framed and table runners when stitched together. 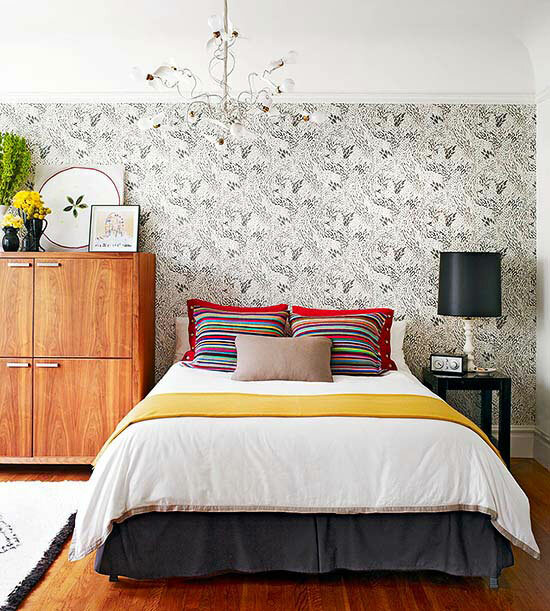 Size matters when you’re trying to decorate large stretches of wall without breaking the bank. 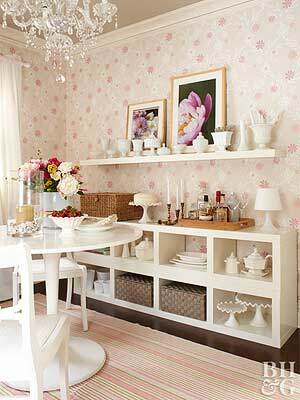 Look for large objects that you can display singly but that fully fill the space. Exhibit a rock concert poster or antique advertisement in an inexpensive poster frame; post a note using oversize wood or pasteboard letters painted to match your scheme; or hang a graphic sign, a large starburst mirror, or a primitive shallow basket.